This paper celebrates Ron Eyerman’s contribution to the sociology of the arts. Through a discussion of selected publications, I highlight the key arguments and the themes running through this strand of his work to show how he both pointed beyond production perspectives and secured a central place for art and music in the strong program of cultural sociology. 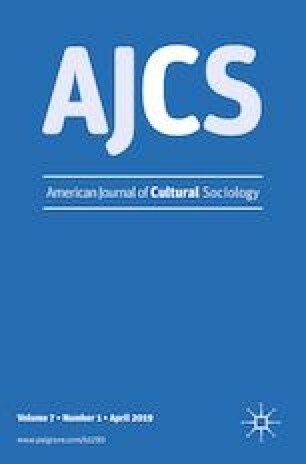 I also revisit his call for a meaningful sociology of the arts, not only to reflect on how this has influenced my own research agenda, but also to take stock of the current state of the field and gauge how much progress has been made in responding to his challenge to take meaning seriously.